We live in a fragile time and place. Californians started out in 1850 grossly abusing our water resources and we've never stopped. The difference now, however, is that we can no longer get away with it. The complex, archaic system that California cobbled together to satisfy our competing demands for limited water resources is coming apart at the seams. Physically. Ecologically. And politically. As we enter the second decade of the 21st century, we are faced with two stunningly different alternatives: disaster or reform. The bad news is that efforts at reform are moving too slowly now to rule out disaster. It took a nine-year severe drought in Australia to transform how that country manages water. It took the collapse of the apartheid regime in South Africa in the early 1990s to produce a new way of thinking about water rights, allocations and environmental protection. I hope we'll be smart enough to solve our problems before such extreme events occur, but the signs are not good. Over the past decade, California's water system has been pushed to the edge of collapse. Why? There is plenty of blame to go around: new demands for water, growing populations in the hottest parts of the state, legal decisions to protect a weakened and abused environment, a natural drought made worse by human-caused climate change, an ineffective management system, a conflicted public and ideologically rigid politicians. Ten years ago, we thought we could continue to increase the amount of water taken from our rivers and groundwater without hurting our natural system. Exports of water from the Sacramento-San Joaquin Delta were boosted to record levels. We tapped the last drops of water from the Colorado River. And we dramatically increased our overdraft of groundwater. Now we're paying the price and our ecosystems are collapsing. The plummeting populations of salmon, striped bass and other fish in the Sacramento-San Joaquin Delta and other California waterways are just one indication of this collapse. Ten years ago, scientists were already telling water managers that climate change would have serious consequences for the state's water resources, but nothing has been done to prepare. Now as temperatures continue to rise, our snowpack is beginning to diminish. As sea-level rise accelerates, our coastal aquifers and wetlands are facing contamination and inundation. And whether or not it rains a lot this winter, the last decade saw seven dry years in a period when the average should have been only three. Ten years ago, there was an open exchange of ideas under way in public forums and a willingness to use the tools of science and fact in dialogues involving farmers, environmentalists, scientists, water agencies and others. Today, that dialogue has broken down. Facts and science are inconvenient truths generally ignored by politicians, and communication about water issues is almost entirely strident, ideological ranting. All of this has led to a marked worsening of tensions among different entrenched interests. None of these things will be easy to change. But there are solutions. A sustainable California water future is achievable. Getting there will require a completely different kind of thinking, dialogue and action than we see today. No single answer will solve our problems. We hear over and over calls for simple 20th century solutions. Build more dams. Let the fish die. Stop growing cotton and rice. Prohibit suburbanites from watering lawns or washing cars. People like these kinds of answers for two reasons: They are simple, and they focus the responsibility on someone else. But really fixing our water problems is going to require more difficult decisions, agreements and actions by each of us. On the practical side, we must start doing all of the following things: We must measure and monitor and report all water use – both surface and groundwater. We must use our water far more efficiently than we do today, in all sectors. 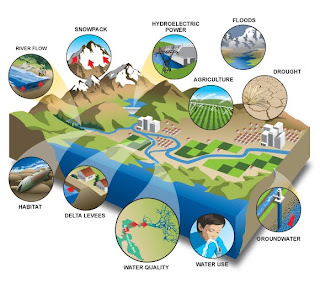 We must develop new, innovative sources of water supply, including massive groundwater recharge, the complete reuse of treated wastewater, local rainwater harvesting and environmentally and economically sound desalination of both seawater and brackish water. We must price water properly to encourage efficient use and appropriate allocation. And we must reform and enforce water rights allocations. At the same time, there are several things we must stop doing. A small number of agricultural lobbyists and their new allies in the right-wing media must stop vilifying and scapegoating the environment while exploiting the plight of the farmworker and local communities in the process. Some urban users and environmentalists must stop generalizing about the wastefulness of farmers. Part of what makes California great is the remarkable bounty produced by farmers on millions of acres of the most productive cropland in the world. Given the right signals and adequate water, California farmers can be the most innovative and efficient growers in the world. Politicians must stop hiding behind party politics and narrow special interests and come together in the public interest. This means overcoming the tendency to adopt "simple fix" positions without being willing to listen to other ideas. When was the last time that a politician even pretended to have an open mind on a complex issue? Part of our growing cynicism about politics is the result of the public perception that politicians seem unable or unwilling to be swayed by fact rather than by the priorities of their campaign contributors, paid lobbyists and party ideologues, who have no incentive to find solutions that work for interest groups beyond their own. Do I think these things are going to happen? I'm normally an optimistic guy, but having watched the California Legislature botch its best opportunity in decades to fix our water system this year (and Congress botch its best opportunity to fix health care; and the world community botch its best opportunity to tackle the coming climate catastrophe), no, I don't. But I know we can do better, and I would love to be proved wrong before we're forced to act by a crisis. Yesterday, after hours of deliberation the California Coastal Commission voted to reject a request by public-interest groups to revoke a permit for the largest desalination plant in the western Hemisphere in Carlsbad. The groups had brought the revocation request after it was revealed that Poseidon Resources submitted incorrect environmental impact data – drastically underestimating the amount of marine life that would be killed by the plant. After the vote Commission staff disclosed new allegations of wrongdoing related to the plants greenhouse gas emissions. One Commissioner, who voted against revoking the permit this time, commented that the repeated disclosure of misleading information from Poseidon was having a “cumulative effect.” “It’s like a rain of new problems,” according to Commissioner Burke – signaling what may be a sense of weariness by the Commission over the project’s proponent’s lack of accurate disclosures. Taking away a developers permit after it has been granted is an extraordinary move and the Commission rarely takes this step. But members of the Commission expressed serious concern that Poseidon had withheld information from Commission staff on how much marine life would be killed in the ocean water intake. When that information finally came at the last hour, it turned out to be erroneous and far underestimated the marine life mortality. According to Commissioner Sara Wan, “This is the clearest case for revocation I’ve seen in my many years on the Commission.” Other members, however, were not convinced that Poseidon had “intentionally” submitted false information and so voted not to revoke the permit. In the end it remains unclear how the next revocation request may be viewed by the Commission. If Commissioner Burke’s observations reflect those of a majority of the Commissioners, Poseidon is setting what appears to be a pattern of misleading and erroneous information on the project that may sway some to believe these multiple misrepresentations were intentional and the project really does require a second look. The project’s next hurdle is at the California Debt Limit Allocation Committee, a panel that allocates tax-free bonds to fund projects with public benefits. Poseidon has similarly misrepresented the cost and financing, originally saying it would require no public financing and cost $270 million. The company, however, is seeking $530 million in tax-exempt bonds (representing a $70 million taxpayer subsidy of the project) on top of $350 million ratepayer subsidy from the Metropolitan Water District of Southern California. The committee, made up of state Treasurer Bill Lockyer, Controller John Chaing and Governor Schwarzenegger, will meet to decide if Poseidon should receive these funds on January 14. Joe Geever is the Southern California Coordinator of the Surfrider Foundation, a non-profit grassroots organization dedicated to the protection and enjoyment of our world’s oceans,waves and beaches. This article shocked me on how often people expect clean water and are exposed to water that does not pass basic safety tests. 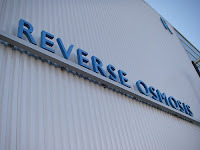 Perfect time for a quick reminder on how pure recycled water the goes through the Indirect Potable Reuse (IPR) process: so pure that minerals needed to be added back in so it does not corrode pipes. The reverse osmosis step used kills all of the 'gender benders'/endocrine disruptors that people are rightly concerned about. 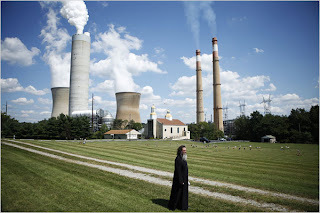 "An analysis of E.P.A. data shows that Safe Drinking Water Act violations have occurred in parts of every state. In the prosperous town of Ramsey, N.J., for instance, drinking water tests since 2004 have detected illegal concentrations of arsenic, a carcinogen, and the dry cleaning solvent tetrachloroethylene, which has also been linked to cancer. The problem, say current and former government officials, is that enforcing the Safe Drinking Water Act has not been a federal priority." Right now we need your help securing a grant for the film's website. We have applied for a grant from Free Range Studios, who had 400 applicants. To help them narrow down a winner, we need your vote! Can you go here, and give us all 3 of your votes? We just need to finish in the top 20, and right now, we are at around #23. It is our hope this panel presentation and public input will lead to an informed resolution from the OPC to several government agencies that will finally set standards on the best technology and location for ocean desalination. But maybe more importantly, the resolution can identify a set of alternatives to ocean desalination that restore our coast and ocean while meeting our demand for freshwater. We want to emphasize that ocean desalination, if not done properly, will unnecessarily kill marine life in the seawater intakes and because of it's enormous energy demand will increase the state's cumulative greenhouse gas emissions — undermining the state's efforts to restore healthy marine life populations and reduce climate change and all the threats it creates to our coast and ocean. Before we race into building massive ocean desalination facilities, we should fully implement water conservation programs that not only lower our demand, but eliminate polluted urban runoff — like our Ocean Friendly Gardens program. We should also eliminate partially treated sewage discharges to the ocean and purify that water for re-use. Between Ventura and San Diego, we discharge approximately 1.3 billion gallons of water a day from our wastewater treatment plants. Recycling just a fraction of that water would eliminate the need for ocean desalination. And for those of us who care about our coast and ocean, water recycling eliminates a source of pollution and dramatically reduces the current energy demand of importing water to the region. Ocean desal increases both the energy demand "embedded" in water, increases the water we waste by discharging it to the ocean — and kills fish in the process. Join us in telling the Ocean Protection Council that we want California to prioritize alternatives to our water supply portfolio that are consistent with our goals to restore and protect our coast and ocean. The current so-called "water crisis" is a call for water management reform — not expensive and environmentally damaging "band-aid" fixes like ocean desal that only make the problems we're trying to solve worse. Cape Coral FL reusing all of its wastewater in 2009 - good on ya! "Water Number: $350 million in public subsidies to a private group. 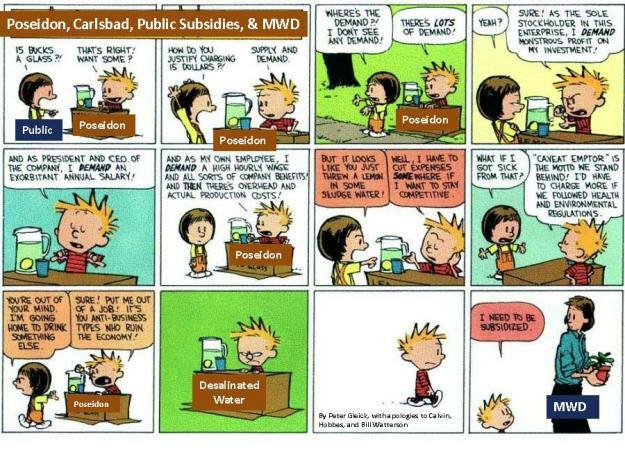 Earlier this week, one of the subsidies demanded by Poseidon was granted. The Metropolitan Water Board approved a subsidy of up to $250 per acre foot per year for 25 years, which will make MWD customers pay more for water than they would otherwise have paid, with the profits going to a private company. Up to $350 million over 25 years. This decision by MWD effectively proves two things: first, that desalination, as envisioned and designed by Poseidon, remains a premature and expensive choice for California. Second, that for all of Southern California's claims of improved efficiency, it is still easier for water agencies to spend $2 (or $3 or $4) to build a water-supply project than to spend $1 to get the same water through water-efficiency programs." Wouldn't it be great if we had porous pavement in every town and city in Southern California? Imagine how much cleaner our oceans would be! Replacing all the old hard surfaces might cost some money, but replacing it would create a few jobs too. Wow - cleaner oceans, rivers and streams, and green jobs! This is a study we will definitely keep our eyes on. In an effort to prevent polluted parking lot rain runoff from contaminating surrounding soil and underground water, the U.S. Environmental Protection Agency on Thursday said it has launched decade-long test of permeable materials to find one that can filter out impurities in rainwater before it flows to its final destination. Pavement tends to collect grease, oil, antifreeze and other chemicals leaked from the cars that park there. When a heavy rain or snowstorm passes over this area it tends to wash these toxins toward the nearest porous surface. Sometimes this water rushes to a storm drain but other times storm drains are overwhelmed and runoff keeps flowing until it reaches the nearest patch of soil or body of water. Researchers will over time evaluate the effectiveness of each pavement type and the rain gardens in removing pollutants from stormwater, and how they help water filter back into the ground, according to the agency. This long-term porous pavement research is part of the agency's Green Infrastructure Research Program and expected to let the EPA document the performance and capabilities of three porous pavement systems simultaneously at the same site, according to an EPA document describing the study. Each of the monitored porous pavement parking rows has subsections lined with an impermeable geotextile fabric to collect the infiltrating water as well as sections that infiltrate into the underlying soil. Each impermeable section has a perforated pipe that drains the accumulated runoff through pipes under the roadway to a dedicated collection tank to the side of the lot. Pollution runoff from hard surfaces remains a complicated problem, an EPA spokesman says. In urban areas, polluted runoff often flows from pavement into storm drains. "When heavy rain events occur, polluted water is often released into rivers, streams and oceans through events called combined sewer overflows," he says. "In rural areas, polluted runoff can flow off of paved areas directly into water bodies or onto land that may be used for farming." The Game of Pricing Water in San Diego: What Is This? Mayor Jerry Sanders announced this week that the city will modify its water conservation plan for the winter. San Diego residents have conserved more than the city expected, and will not be asked to reduce watering to one day a week. Meanwhile, state lawmakers are discussing ways to improve California's water delivery system. Nothing like a warm cup of Earl Grey with a splash of Barium, Arsenic and Lead while reviewing the Old Testament. I'm over sugar and milk - bring on the heavy metals. Check out an article from the New York Times on how solving one environmental problem can create a major issue for water quality by clicking here. The House approved a seemingly benign water recycling program Thursday for the San Francisco Bay area, but only after Republicans fought to broaden drought relief to California's farm belt. WateReuse is sponsoring a workshop on how using IPR stands to help wastewater districts be compliant with CEQA requirements. SAN DIEGO — Water in San Diego is becoming more scarce and more expensive. The city council will begin to look at ways to deal with San Diego’s limited water supply at its meeting Monday. Council President Ben Hueso called for a Water Action Day to solicit ideas from experts and the public on how to better conserve. Hueso says the city should always take conservation seriously, not just when there’s a drought. “We need to put a policy in place that gets to sustainable conservation. Not just conservation when we have a crisis, but conservation that’s going to make water available in San Diego on a consistent basis,” he says. Hueso says the city should look into tiered water rates that give people financial incentives to use less. He says San Diego should also find renewable sources of water that reduce the city’s dependence on the Colorado River and San Joaquin River Delta. Some of the comments below the article were particularly poignant, so please read on past the article, and let us know what you think. Since California's drought began three years ago, water districts have increasingly urged residents and businesses to reduce consumption. In San Diego County, most of those agencies ramped up their pleas in April and then introduced mandatory restrictions in July, with the overall goal of cutting usage by 8 percent to 10 percent. Now, they're facing too much of a good thing. Countywide water use has plummeted more than expected, slashing water districts' sales revenue. Several agencies have seen their sales drop about 20 percent from April through July compared with the same time a year ago. Water managers attribute the high savings rates to several factors, including the mandates, rapidly rising water bills and recession-weary households trying to lower their expenses. The districts might have to keep boosting prices, tap reserves and shrink operating expenses while still carrying out projects required by state and federal laws. Some have decided to ease their conservation outreach efforts and relax irrigation rules — an awkward position because climate experts don't expect the drought to end soon. In the short run, the districts could encounter a more pressing challenge if the forecast atmospheric phenomenon called El Niño brings better-than-average rainfall this winter and enables residents to further curb their outdoor water use. That would cut deeper into sales. “We don't need to keep telling (customers) to do a better job,” said Bill Rucker, general manager for the Vallecitos Water District in San Marcos. His agency's sales fell 20 percent in the April-to-July period compared with the same period in 2008. To make up for the downturn, the district will leave some positions vacant and roll back conservation education. During a meeting of the region's top water managers in late August, “everyone was concerned about the lost revenues,” said Dennis Lamb of the Vallecitos district. Lamb, Rucker and other water officials said it's too early to panic about the financial bottom line. The figures for countywide water consumption in August haven't been finalized, and the heat wave at the end of that month may have boosted usage closer to normal levels. Kristen Crane, who oversees Poway's water conservation team, wonders whether residents downsized their consumption so quickly that they'll soon burn out and return to old habits. Poway's water use during the April-to-July period dropped 22 percent compared with the same time last year. Crane said usage has decreased about 30 percent since 2007. “If the conservation levels continue at 30 percent, we would have to evaluate the impacts of that on our rates,” Crane said. Bill Lampshire, a 20-year resident of Scripps Ranch, said he believes the recent surge in conservation will be long-lasting. He has curtailed his water use by irrigating his roses with dishwater, letting his lawn die and pushing his family members to shorten their showers. The result: a year-over-year reduction of more than 40 percent. Lampshire also is looking at installing artificial turf instead of reviving his lawn. His neighbors seem to be conserving, too. Virtually every yard in his neighborhood has a brown lawn or drought-tolerant landscaping, including rocks and cactuses. 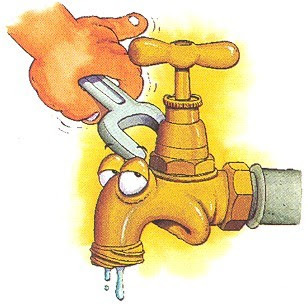 Lampshire doesn't extend much sympathy to water districts squeezed by falling revenue. “If they are not earning enough money, well, shame on them. They have earned enough in the past,” Lampshire said. Uncertainties such as how intent people are on long-term conservation, how long California will remain parched and how certain wildlife preservation efforts will affect water supplies leave district managers nervously monitoring their sales figures. “When we are mandated to cut back 8 to 10 percent, ideally we cut back 8 to 10 percent,” said Bob Cook, general manager for the Lakeside Water District. But Lakeside is exceeding expectations and is among the county leaders in conservation. 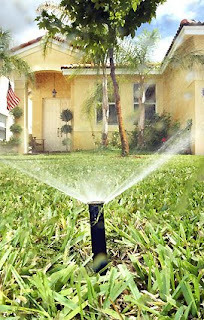 Its water use was down 20 percent during the April-to-July period compared with the same time a year earlier. Water agencies' expenses typically are tied to state and federal quality standards, so the districts can't make significant budget cuts without threatening public health and risking fines. In addition, as inventories shrink amid drought, retail water agencies statewide are having to pay more because wholesalers are spreading their fixed costs over fewer gallons. The Lakeside district's leaders are weighing their options. San Diego, by far the largest retail water agency in the county, isn't hurting as badly as some of its neighbors, said utilities director Jim Barrett. He said the city budgeted for a 15 percent sales reduction during the fiscal year that started in July. San Diego's actual savings was about 18 percent for the April-to-July period compared with the same time last year. The city's sales estimate was driven by initial projections that water supplies could be cut by 15 percent or more in Southern California. That conservation target was lowered in April, but San Diego stuck to the original forecast. Still, Barrett said, the district could relax its outdoor-watering protocol for November through May. One irrigation day per week “is probably a little bit too severe” amid the current conservation trend, he said. At the Olivenhain Municipal Water District in Encinitas, officials plan to leave their three-day-a-week system in place at least through December. The amount of water saved by the district's customers in July and August equaled the agency's target for the entire fiscal year, General Manager Kimberly Thorner said. “We don't want to be reactionary to just a couple of months of reduced demand . . . but essentially, since we are already getting 23 percent reduction with three watering days, let's just keep it up,” Thorner said. "SMART money prefers backing water-reuse projects over desalination ones, says a study done jointly by Singapore and foreign consultants. This is because it is cheaper to purify the outfall from water reclamation plants than to turn sea water into drinking water." Makes sense to me and something that transfers well to California. Think about the massive amounts of energy that we use to move water around the state coupled with the amount of energy that wastewater treatment plants use to cleanse it to secondary or tertiary standards. Why throw all of the energy down the drain or ocean outfall? Take a few more steps and add it back to our water supply. After conservation (think irrigation) I believe IPR is most vital for the future water supply. Click Here for the full story from te Straits Times in Singapore. Catchy name for this in depth series from kpbs.org in San Diego about the current water 'situation'. 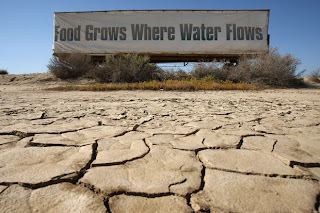 "California is teetering on the edge of the worst drought in the state’s history. The lack of rainfall and melting snowpack is causing reservoirs to shrink and rivers to run dry, and the water supply for millions of residents is being threatened. KPBS looks at the impacts of going dry." It’s hot, it’s steamy, and you do it every day — shower, that is. But do you get wet in the most eco-friendly way? Umbra Fisk drops some nozzle knowledge that’ll make your shower greener, and keep your hard-earned money from going down the drain. San Diego News Network created a list of the top 10 water users in San Diego. The list includes Caltrans, UCSD, SDSU and SeaWorld. The City of San Diego is the largest single wholesale agency the Water Authority works with. The top 10 is beginning to change it's water usage and have come up with ways to conserve water. Click here for the rest of the list. The San Diego County Water Authority, perhaps emboldened by the imprudence demonstrated the Regional Water Quality Control Board in permitting an atavistic approach to desalination, is exploring a desalination plant in Camp Pendleton. This would be the largest by volume of water produced and most expensive plants in the US by 3x. This is a great time to start working with the County Water Authority to be sure that this massive project is progressive in approach. Come out to the June Know Your H20 meeting to speak with Toby Roy of the San Diego County Water Authority to be sure this is done right. Check our Rob Davis of the Voice of San Diego's interview on the topic. As of June 1st the City of San Diego has enacted new rules and restrictions for water usage. There are new limitations on the amount of time and the days that San Diegans can water their lawns and plants. The City Council is asking that San Diegans only turn on outdoor water systems 3 times a week before 10am and after 6pm. Homes with odd-numbered addresses will be permitted to water on Sunday, Tuesday and Thursday. Homes with even-numbered addresses can water on Saturday, Monday and Wednesday. Apartments, condos and businesses can water only on Monday, Wednesday and Friday. They are also asking that when washing cars that you use a bucket, a hose with a nozzel that shuts of automatically, or that you go to a local car wash service. San Diegans are also being told not to water down their driveways, garages, or sidewalks. There will be penalties for not following the new measures. These are all new steps that the city hopes to instill in everyone so that they become conscious and aware of their water usage. Tom Warner, a Talmadge resident, let his green lawn die when the unending drought and ever-increasing water bills forced him to stop watering grass. He states that, "unless you have a dog or children, you don't necessarily need a lawn". That is why Warner turned to rockscapes. He purchased Mediterranean and tropical drought-tolerant plants for $300 and collected rocks from his friend's yard for free and, voila, a low-hassle, low-cost, guilt-free front yard. Warner will turn off his irrigation from winter to spring. Then, Dockery suggests watering deep and allowing soil to dry up before the next sprinkling. Roots learn to search out water below the surface, he explains. “Our kind of feeling about plants is push them a little bit,” agreed Marty Eberhardt, executive director of the Water Conservation Garden at Cuyamaca College. “Try the low end and then give it a little bit more water instead of giving it so much everyday.” Eberhardt says low-flow toilet rebates have been around for years, but there’s been little emphasis on outdoor landscape - which consumes 50 to 70 percent of San Diego’s dwindling and largely imported water supply. Warner leaves us with a personal mantra, "Where there is a rock, you don't have to water". "It's the best move I've ever made," says Joe Randazzo of investing in AstroTurf to replace his natural-grass front lawn. Tired of the maintenance of a grass lawn and plagued by increasing water bills from watering, Randazzo decided to switch to the polyethelene synthetic grass. According to him, people don't even know the grass is synthetic! By installing the AstroTurf and landscaping simply with water-wise planters, Randazzo has cut costs by saying goodbye to gas for the lawnmower, the entire sprinkler system, fertilizer, and half of the water bill. Now, instead of caring for the lawn, his formerly least favorite chore, he now only waters the planters by hand every couple of weeks. There are certain drawbacks to having a synthetic front lawn, though. First of all, the artificial grass is made using petroleum, which is a finite resource like water. Also, the instillation of a artificial lawn can be quite pricey, costing a homeowner up to $6,000 for a 20x30 yard. Furthermore, barbecues and other gas-operated machinery should be steered clear of. Lastly, the grass can get very hot so you must keep that in mind if you picture children playing on the lawn. Randazzo doesn't play on his front lawn, though, and claims that the high cost of the lawn will pay for itself in the way of no water bills or maintenance fees. Randazzo points out that he certainly doesn't want to run out of water because, "without water, we run out of everything". This mentality should be shared by all of us on Earth because of the effects of wasteful water practices. Here’s how he does it: soaker hoses and drip irrigation concentrate moisture where it’s needed most, laying newspaper and wood chips over the dirt reduces evaporation, and vetch groundcover enriches soil and saves water. Conserving, composting, even his worm bed are all part of being a global citizen, Ken figures, especially in a place that is warming and drying. Southern California has always had a problem with water- a problem getting the water from where it was to where the people that needed it lived. In San Diego, they solved the problem by building a dam, and building six miles of aqueduct to get it to the Mission Valley area. This happened in 1769. The problem is exactly the same today as it was then — getting the water to the people who need it. Of course, the problem is compounded by the fact there are several million people who need the water, and that the water is now in very short supply. The bigger problem, though, is the fact that fully 90 percent of the water people need is not six miles away, but hundreds of miles away — in Northern California and in the Colorado River. Wednesday, May 20th made history as the day that NASA astronauts took their first drink of water recycled from their urine, sweat, and water that is condensed when air is exhaled. Astronaut Michael Barratt claims that, "the taste is great". While the American side of the space station is drinking water made from urine, sweat, and exhaled air, the Russian side of the station is only producing water from the last of the three. The urine recycling system is used at outposts on the moon and on Mars. This innovative system will save NASA money on water transportation to space and will allow crews on the space station to consist of six people instead of three. How, you may ask, is drinkable water created from urine? Well, it's quite simple, actually. The new system takes the combined urine of the crew from the toilet, moves it to a big tank, where the water is boiled off, and the vapor collected. The rest of contaminants — the yucky brine in the urine — is thrown away, said Marybeth Edeen, the space station's national lab manager who was in charge of the system. The water vapor is mixed with water from air condensation, then it goes through filters, much like those put on home taps, Edeen said. When six crew members are at the space station, they can make about six gallons of urine in about six hours. Edeen also points out that the drinking of recycled urine also occurs on Earth, although with more time between urine and the tap. In space the process only takes about one week. This system has already been used for quick water purification after the 2004 Asian tsunami. While this technology has only been embraced by those floating in space thus far, it is still a glimmer of hope for us Earthlings. With this kind of technology, waste water can be reused, reducing our impact on the world's natural water supply. I received this irresponsible fear-mongering from "Rescue Rooter" just the other day. I'm angered to see such an irresponsible advertising campaign. Tertiary reclaimed water is safe to drink and a great option. Please let "Rescue Rooter" know that you disapprove of this marketing strategy by boycotting their services. Water water everywhere, but not a drop to drink. Squandered when we wash the car, wasted in the kitchen sink. We need to make some changes, and it's up to me and you. To be healthy we had to drink at least eight glasses a day. And we all carried gallon jugs, it became of trendy fashion. It now appears that eight glasses will become our monthly ration. There will be mandatory rationing until we change our ways. Unless you're rich enough to water your grass with Perriers. And the city will hand out fines, if our water use does increase. You could be handcuffed and rubber hose-whipped by the water police. Now I'm not being flippant, this comes from the heart. We're all in this together, so let's just play it smart. Water at a later hour for a shorter amount of time. Sprinkle just three days a week and soon will all be fine. Now I'm not suggesting that we take a backwards path. And return to the days when folks only took a Saturday night bath. And turn America's Finest City into the city of the grunge. Soon it will be mandatory to save every precious drop. And change the way we live after the rationing will stop. If we live in the parched desert, why do we keeping building homes? But let's all roll up our hoses and plant for xeroscape. Wash the car after 6, until were out of our current scrape. If we don't change our ways, soon we'll be a fruitless plain. Heed the warning, turn off the tap and then let's pray for rain. Does Rehoboth Beach DE Know It's H2O? The City of Rehoboth Beach has to decide what to do with it's wastewater now that it has to stop dumping into the canal by 2011 and Surfrider enthusiastically supports LBA. LBA or spray irrigation is a universally accepted method for treating and reclaiming waste water into irrigation water for farmers, whereas an ocean outfall is a pipe leading out into the ocean which discharges treated effluent from a sewage treatment plant. Each year billions of gallons of fresh water are lost from effluent discharge into water bodies. Please click the link below, sign the petition and send it to your friends and family. From the action alert: "Spray irrigation will help Delaware agriculture, recharge groundwater aquifers, keep water in the watershed, not the ocean; create sustainable farming, maintain open space for farming & recreation, and is an economically proven and permissible technology. Spray irrigation helps replenish our diminishing ground water aquifers while an ocean outfall puts all waste water in the ocean and none goes to Delaware agriculture. An ocean outfall empties billions of gallons of freshwater into the ocean each year, which cannot be reclaimed or recycled into the ground water. With the population growth causing an increasing demand on Delaware's water supply and waste water capacity, we need a system which will be able to process more waste water while preserving precious fresh water for the future." It's coming! Mayor Sanders unveiled his plan for how it could work, so let's hope the city council votes for it! Reston, Va. – Orange County faced a serious challenge: how to continue providing water for its growing population and economy. In the past, water purchased from outside Southern California had been the answer. Realizing that the old solution wasn’t a sustainable answer, the Orange County Water and Sanitation District’s new Groundwater Replenishment System (GWR) provides a high quality, reliable water supply. In recognition of its success, the Groundwater Replenishment System has been honored with the American Society of Civil Engineers’ 2009 Outstanding Civil Engineering Achievement (OCEA) Award. Presented this evening at the 10th annual Outstanding Projects and Leaders (OPAL) Awards Gala at the Hyatt Regency Crystal City in Arlington, Va., the OCEA award recognizes the project’s significant contributions to both the civil engineering profession and the local community. The projected water demand in central and north Orange County for the year 2020 is 600,000 acre-feet (which is enough water for 1.3 million families annually) compared to current consumption of about 500,000 acre-feet per year (which is enough water for one million families annually). These projections indicate that demand will far outweigh supply. This imbalance will become even more pronounced in a drought. Included as a case study for raising the Drinking Water grade in the ASCE 2009 Report Card for America’s Infrastructure, the GWR system to meets growing demands and reduces reliance on water imported from other sources. The GWR system takes water through an advanced purification process. This purified water is of a higher quality than required by all state and federal drinking water standards and is similar to distilled water. The system uses the latest water treatment technologies, and its structures have been designed to accommodate solar power, providing a reliable, drought-proof source of pure water for the county, reducing saltwater intrusion into the groundwater basin and lowering the amount of wastewater discharged to the ocean. Water from the system will be between 35 and 75 percent cheaper than water produced by seawater desalination, and the purification process will consume about half the energy. The GWR System provides a new drought-proof water source for northern and central Orange County, will reduce reliance on imported water, and will save additional funds in the future by improving the quality of the water in the Orange County groundwater basin. This water quality improvement takes place when the new purified water, low in minerals, mixes with existing groundwater, lowering the average mineral content. Lowering the amount of minerals in the water, or reducing water hardness will decrease maintenance costs for residents and businesses by extending the life of water heaters, boilers, cooling towers and plumbing fixtures. The contenders for the 2009 OCEA Award included the I-35W St. Anthony’s Falls Bridge Project in Minneapolis; the H. Clay Whaley, Sr. Memorial Water Plant in St. Cloud, Fla.; the Lake Brazos Labyrinth Weir in Waco, Texas; the Montagua Bridge in LaGarrucha, Guatemala; and the Elk Creek Tunnel Bridge located between Elkton and Drain, Ore. Established in 1960, the OCEA program recognizes projects on the basis of their contribution to the well-being of people and communities, resourcefulness in planning and design challenges, and innovation in materials and techniques. Previous winners have included the Woodrow Wilson Bridge project on the Washington, D.C. beltway, the Golden Gate Bridge Seismic Retrofit in San Francisco, the Cape Hatteras lighthouse relocation in North Carolina and the Saluda Dam Remediation project in Columbia, S.C.
"Ben Hueso—City Council president, California Coastal Commission member and state Assembly candidate—really, really wants there to be a desalination plant in Carlsbad. Whenever he’s been asked about the prospect of Connecticut-based Poseidon Resources constructing a plant to turn seawater into potable water, he’s expressed his strong support for the project. He supports it so much that he’s even willing to let the company write salutary letters that he then sends under his own name. The documents, obtained by CityBeat under California’s public-records law, show that on at least two occasions, Poseidon vice president Scott Maloni sent e-mail to Hueso’s chief of staff, Alonso Gonzalez—himself a candidate for City Council—drafts of letters Maloni wanted Hueso to send to the Regional Water Quality Control Board. Both letters emphasized Hueso’s position as a Coastal Commissioner, and both asked the water board to vote to approve the desal plant. In both cases, Hueso sent the letters unedited." That's an excerpt from a recent San Diego City Beat article. Click Here for the full story. Scripps researchers find that currently scheduled water deliveries from the Colorado River are unlikely to be met if human-caused climate change reduces runoff in the region. The Colorado River system supplies water to tens of millions of people and millions of acres of farmland, and has never experienced a delivery shortage. But if human-caused climate change continues to make the region drier, scheduled deliveries will be missed 60-90 percent of the time by the middle of this century, according to a pair of climate researchers at Scripps Institution of Oceanography, UC San Diego. "All water-use planning is based on the idea that the next 100 years will be like the last 100," said Scripps research marine physicist Tim Barnett, a co-author of the report. "We considered the question: Can the river deliver water at the levels currently scheduled if the climate changes as we expect it to. The answer is no." Even under conservative climate change scenarios, Barnett and Scripps climate researcher David Pierce found that reductions in the runoff that feeds the Colorado River mean that it could short the Southwest of a half-billion cubic meters (400,000 acre feet) of water per year 40 percent of the time by 2025. (An acre foot of water is typically considered adequate to meet the annual water needs of two households.) By the later part of this century, those numbers double. The paper, "Sustainable water deliveries from the Colorado River in a changing climate," appears in the April 20 edition of the journal Proceedings of the National Academy of Sciences. The analysis follows a 2008 study in which Barnett and Pierce found that Lake Mead, the reservoir on the Colorado River created by Hoover Dam, stood a 50-percent chance of going dry in the next 20 years if the climate changed and no effort was made to preserve a minimum amount of water in the reservoir. The new study assumes instead that enough water would be retained in the reservoir to supply the city of Las Vegas, and examines what delivery cuts would be required to maintain that level. "People have talked for at least 30 years about the Colorado being oversubscribed but no one ever put a date on it or an amount. That's what we've done," said Barnett. "Without numbers like this, it's pretty hard for resource managers to know what to do." Barnett and Pierce also point out that lakes Mead and Powell were built during and calibrated to the 20th century, which was one of the wettest in the last 1,200 years. Tree ring records show that typical Colorado River flows are substantially lower, yet 20th Century values are used in most long-term planning of the River. If the Colorado River flow reverts to its long-term average indicated by the tree rings, then currently scheduled water deliveries are even less sustainable. Barnett and Pierce show that the biggest effects of human-induced climate change will probably be seen during dry, low-delivery years. In most years, delivery shortfalls will be small enough to be manageable through conservation and water transfers, they estimate. But during dry years there is an increasing chance of substantial shortages. "Fortunately, we can avoid such big shortfalls if the river's users agree on a way to reduce their average water use," said Pierce. "If we could do that, the system could stay sustainable further into the future than we estimate currently, even if the climate changes." Scripps Institution of Oceanography, at UC San Diego, is one of the oldest, largest and most important centers for global science research and education in the world. The National Research Council has ranked Scripps first in faculty quality among oceanography programs nationwide. Now in its second century of discovery, the scientific scope of the institution has grown to include biological, physical, chemical, geological, geophysical and atmospheric studies of the earth as a system. Hundreds of research programs covering a wide range of scientific areas are under way today in 65 countries. The institution has a staff of about 1,300, and annual expenditures of approximately $155 million from federal, state and private sources. Scripps operates one of the largest U.S. academic fleets with four oceanographic research ships and one research platform for worldwide exploration. Good news for San Diego County: construction starts soon on the San Vicente Dam Raise, the last major component of the Emergency Storage Project. The San Vicente Dam Raise project will increase the height of the existing dam by 117 feet. This will more than double the reservoir's water storage capacity. Construction is expected to begin before summer. tunnel on the bottom of a reservoir? You use a cofferdam! The Lake Hodges Projects contractor installed a temporary cofferdam to keep the reservoir water out of the construction area. This spring, the cofferdam will be dismantled and removed - it accomplished its job. Pipe installation for the San Vicente Pipeline is well under way in the western portion of the tunnel. To date, crews have placed about 180 pipe segments in the tunnel, almost two miles long. The contractor anticipates completing pipe installation for the five miles between the West and Central shafts this spring. With construction largely complete, over the next several months each piece of equipment in the pump station and surge control tank will undergo extensive testing to help ensure it works properly when needed. The pumping facilities will deliver water from San Vicente Reservoir to the San Vicente Pipeline and ultimately to San Diego County residents during an emergency. As part of the Water Authority's commitment to protecting the environment while providing a safe, reliable water supply to the San Diego region, the board of directors certified and approved the final environmental document for the Tijuana River Valley Wetlands Mitigation Project in December 2008. The Los Angeles Times points out that a lot of idiots in New York are paying $1.50 a bottle for city tap water. To our surprise, there is no law against Craig Zucker -- who started his flim-flam career selling $1 golf shots with a million-dollar prize for a hole in one -- bottling local water as "Tap'd NY" and re-selling it. Zucker claims that he filters the water before bottling, so it will be less poisonous than the free water with which generations of citizens were hydrated before the world went mad, but other than that there's no advantage to his product except convenience. 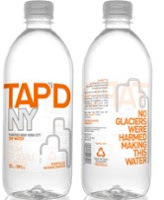 The company does encourage buyers to refill their Tap'd bottles from public sources, which is like liquor companies telling us to drink responsibly. People like author Elizabeth Royte have been trying to get New York to reduce bottled water use by installing more public drinking fountains, but the whole air-and-water-should-be-free thing is kind of out of date, and we doubt the cash-strapped city will spend money to discourage consumerism. There are only two things that can arrest this mortifying fad: common sense -- which left us some time ago -- and the New Depression, which will probably revive the use of public fountains, and re-accustom citizens to tap water when it is served at soup kitchens. Article from The Village Voice in NYC, check them out. "Instead of engineering the stormwater system to deal with increasingly large amounts of stormwater, these low impact development approaches utilize technologies that aim to reduce the amount of stormwater that even enters the system. This is achieved through processes that encourage enhanced infiltration and evaporation processes. 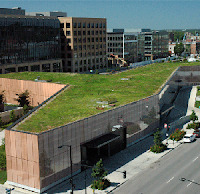 Simple approaches such as green roofs, increased tree cover, disconnecting downspouts, and adding more green space can go a long way to reducing the amount of stormwater that enters sewers. [don't forget storm drain systems] And in some circumstances, these technologies can realize significant cost savings for municipalities and building owners." - quote by Subcommittee Chair Eddie Bernice Johnson of Texas. 15 March 2009, Washington DC. In February, President Obama issued an official backhander to Toilet to Tap Agitators. This slap came in the form of Title IV of the American Recovery and Reinvestment Act via a $1 billion allocation to Water Resources, with at least $126 million going to reclamation and reuse projects. See below for the page of the bill that describes the allocation, and CLICK HERE if you 1) Like to Read Bills, 2) Suffer from Insomnia. House of Representatives and the Senate detailing the allocation, obligation and expenditures of these funds, beginning not later than 45 days after enactment of this Act: Provided further, That the Secretary shall have unlimited reprogramming authority for these funds provided under this heading. Extra! Extra! Read all About it! Parched Disney Visitors Slurp Sewer Water! Visitors to Disneyland likely don't know that when they sip from Disney water fountains that the great tasting aqua treat was once streaming through a public sewer. Not to worry though. That sewer water is actually substantially cleaner and more carefully filtered than the water consumed in the average American household. Moreover, the new system providing Disney's water could be the most viable means of drought proofing a state that faces some potentially serious water issues in the coming years.